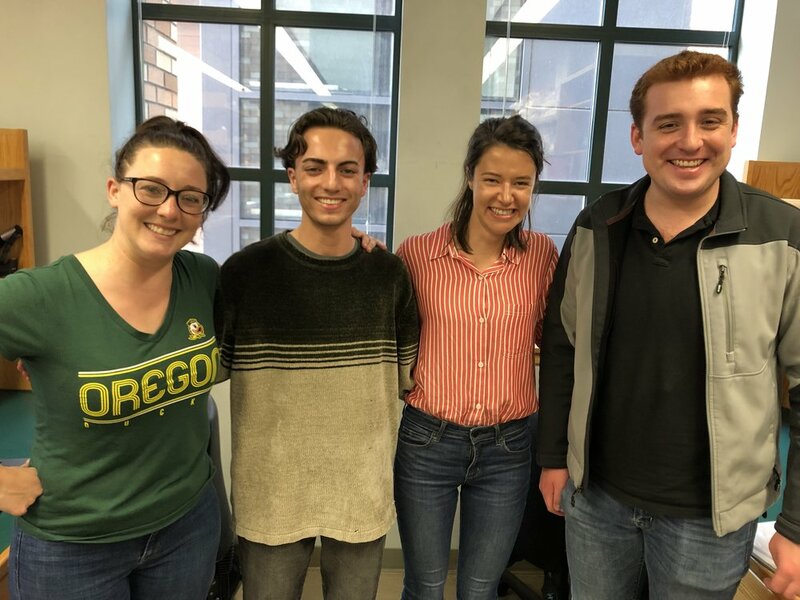 April 2019: three new rotation students join the lab. Many features of vertebrate bodies, such as the skeleton and the limbs, display symmetry between left and right. By contrast, the internal organs exhibit left-right asymmetries in their position and structure. In the Grimes lab, we use genetic, genomic, and imaging procedures to understand the basis of these symmetries and asymmetries during development and growth. We are also interested in how they contribute to human diseases such as birth defects and scoliosis. For our work, we primarily use the zebrafish model organism.